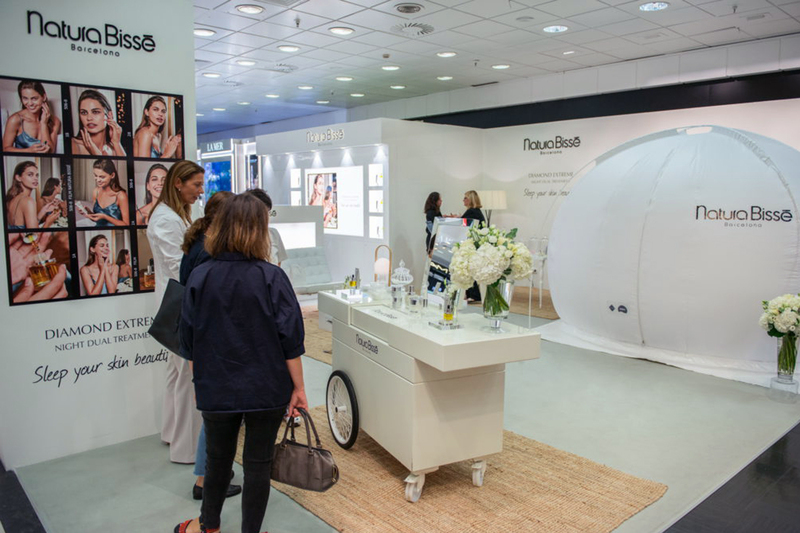 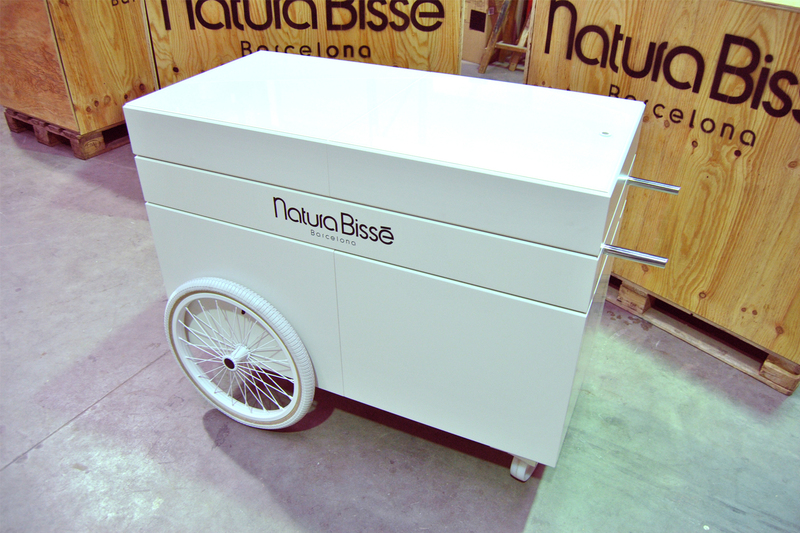 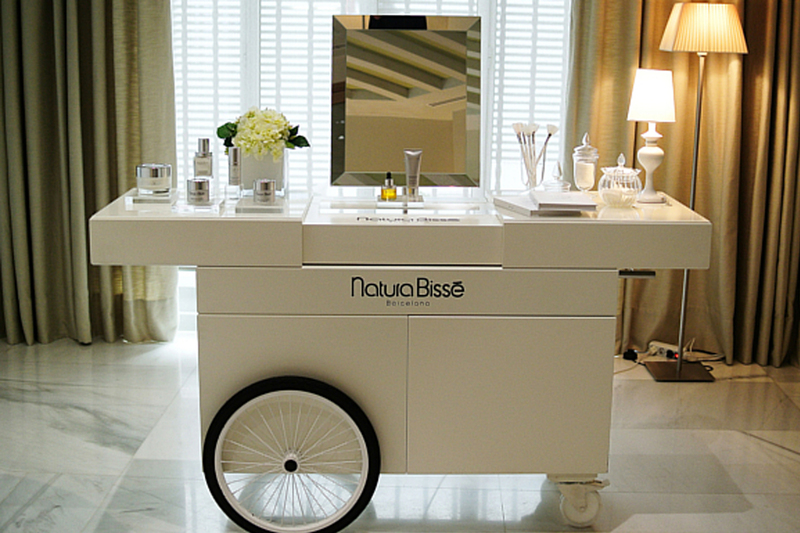 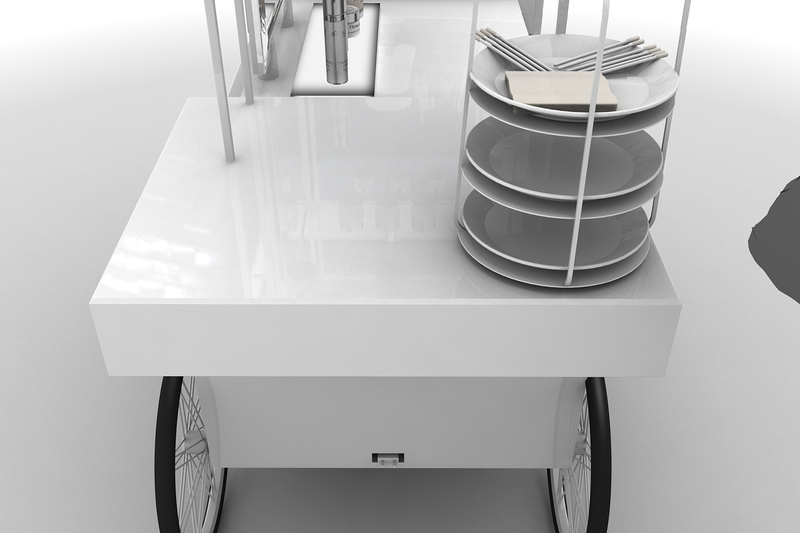 The design, development, and manufacture of a movable “trolley” type element for use in a range of settings where the brand requires a temporary presence. 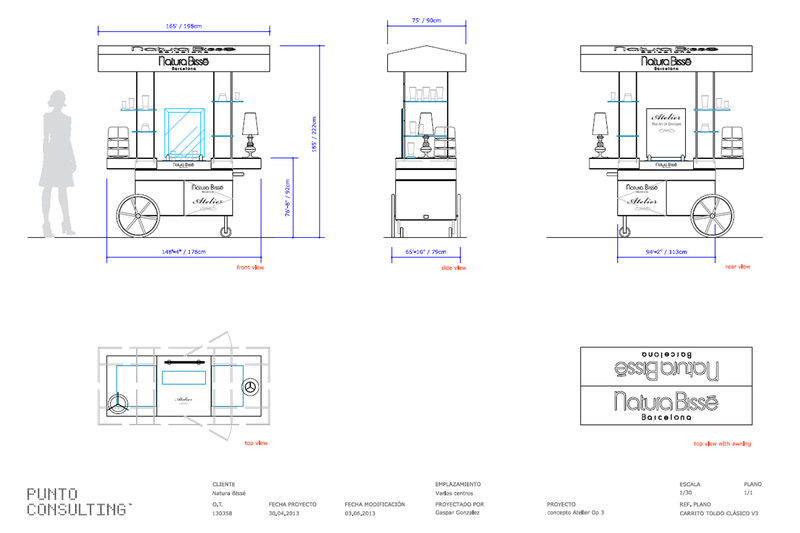 A combination of aesthetics and functionality was proposed, based on the brand’s point of sale design principles but adapted to fit the specific requirements. 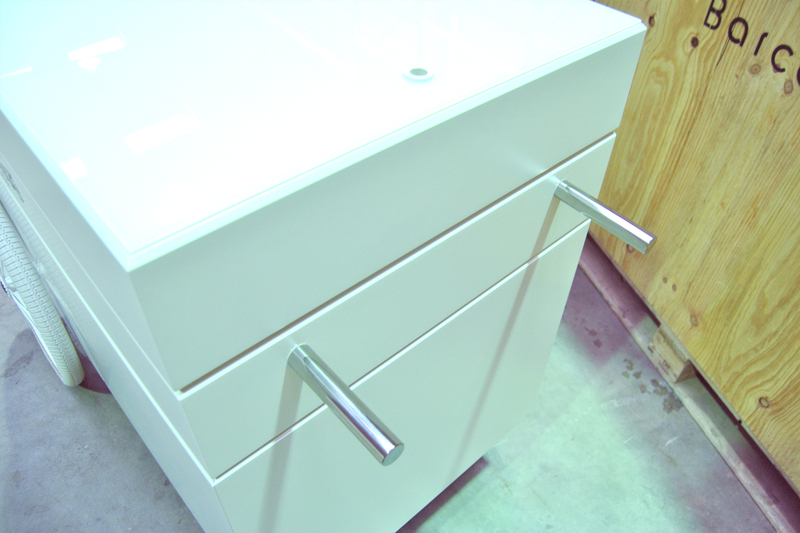 Particular care was taken with the usability aspect given the difficulty in creating an aesthetically appealing element that adapts to a range of settings, which also has to withstand repeated transportation and use. 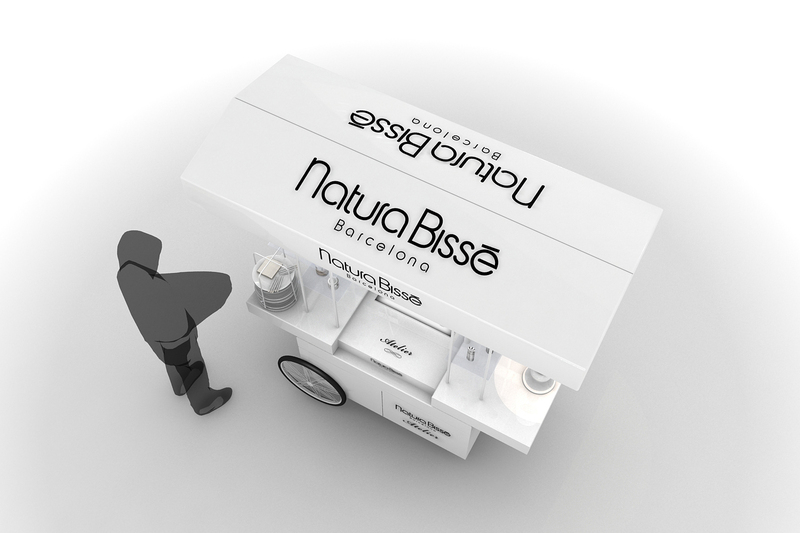 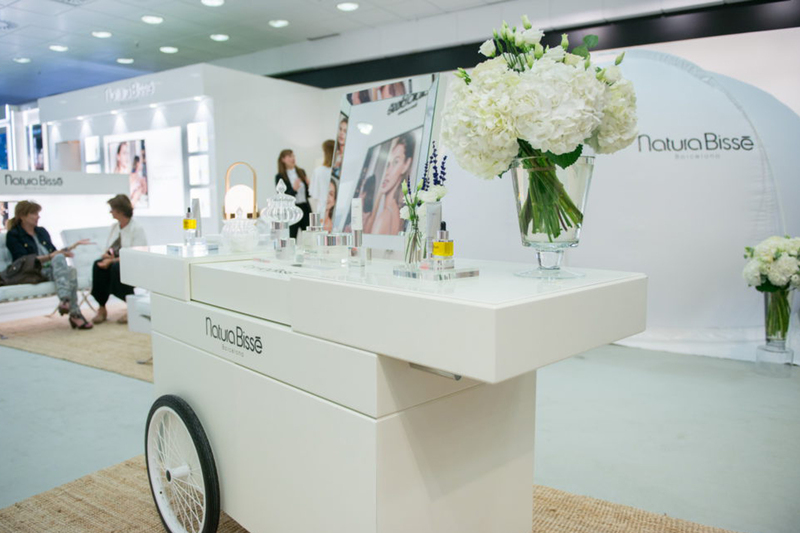 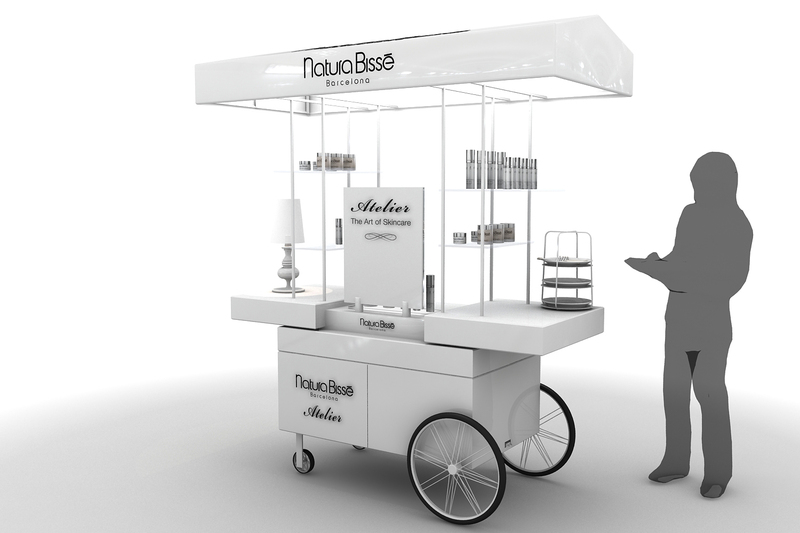 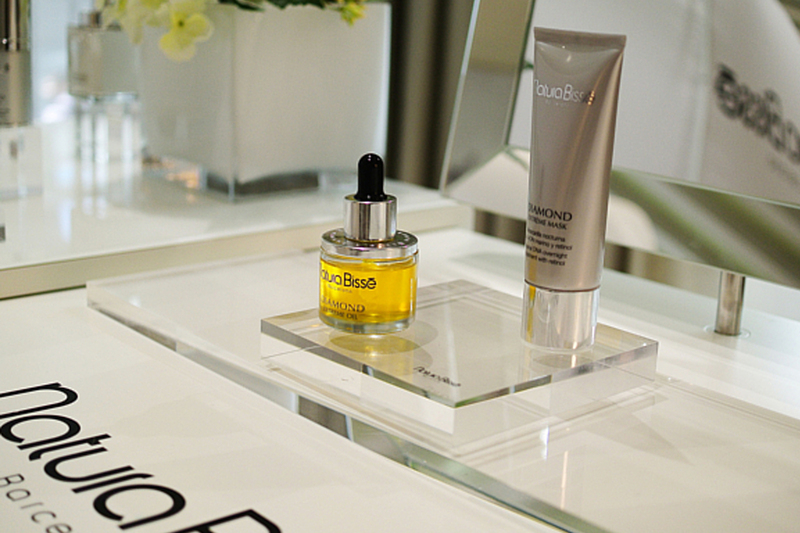 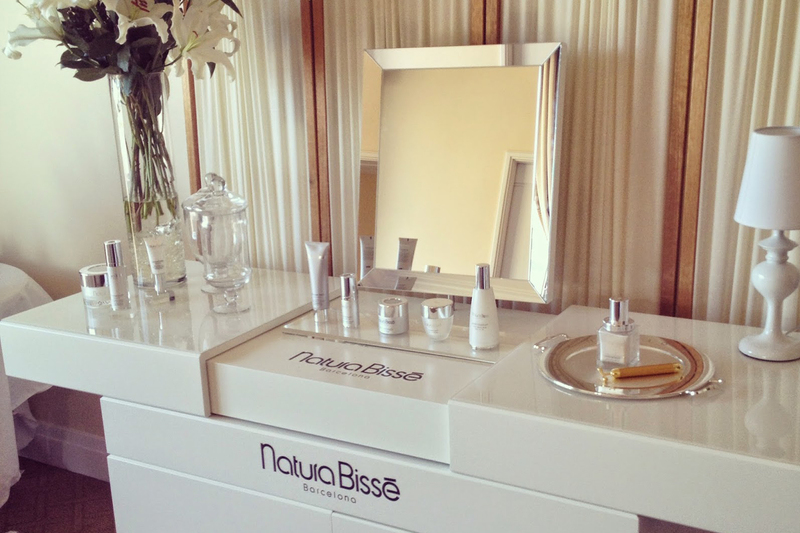 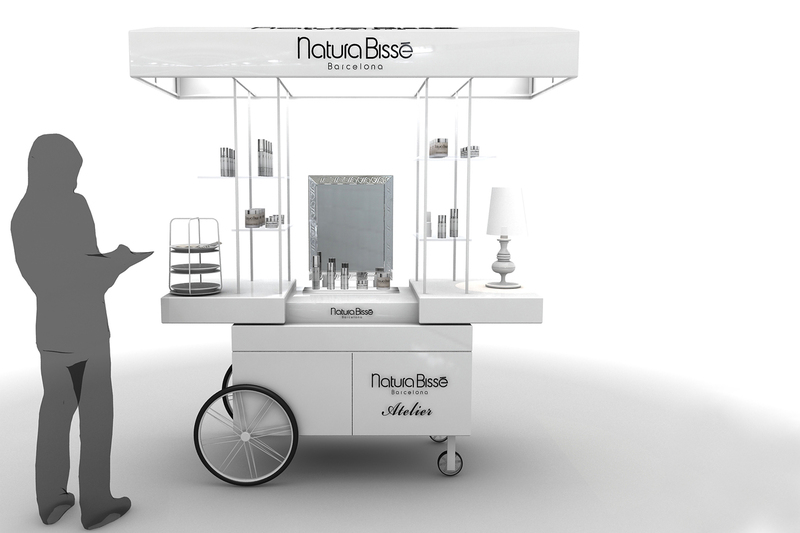 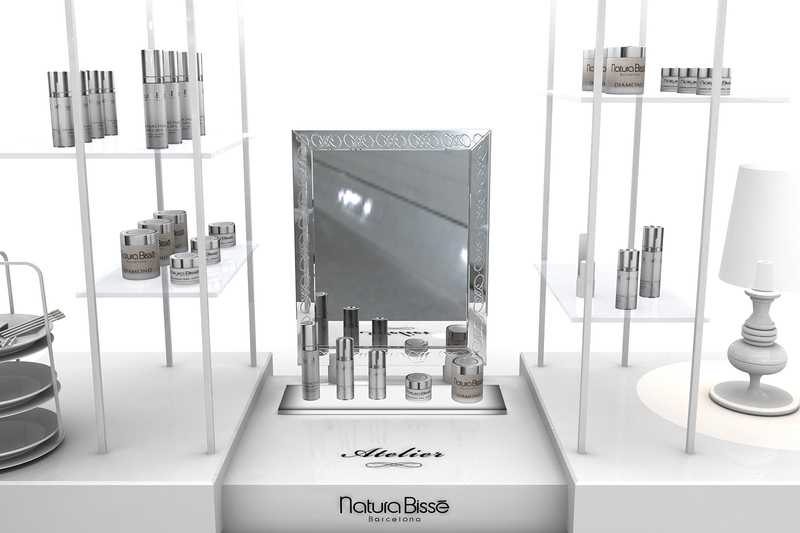 The culmination of the work resulted in the use of the element in the brand’s space on the “Hollywood Oscars” red carpet, where Nature Bisse features every year as one of the stars’ preferred cosmetic brands.